Eddie Redmayne has paid tribute to Stephen Hawking, who died at the age of 76 on Wednesday. 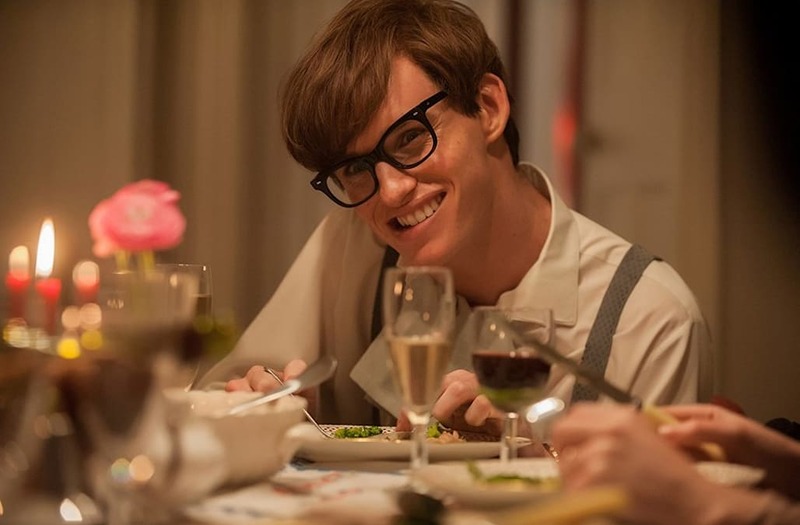 Redmayne won an Oscar for his portrayal of Hawking in the 2014 film "The Theory of Everything." He called him an "astonishing scientist" and "the funniest man" he ever met. Hollywood star Eddie Redmayne, who received an Oscar for his portrayal of scientist Stephen Hawking in the 2014 film "The Theory of Everything," has paid tribute to "the funniest man" he ever met. Hawking, known for explaining the Big Bang and black holes in his book "A Brief History of Time," died at the age of 76 on Wednesday morning. Despite having amyotrophic lateral sclerosis (ALS), a neurodegenerative disease that impaired his motor functions, confined him to a wheelchair, and made him dependent on a computerised voice system in order to communicate, he went on to become a mathematics professor, and eventually the director of research at the University of Cambridge's Center for Theoretical Cosmology. According to The Telegraph, Redmayne, who met Hawking while preparing for his Oscar-winning role, said: "We have lost a truly beautiful mind, an astonishing scientist and the funniest man I have ever had the pleasure to meet. Physicist Stephen Hawking attends the 2010 World Science Festival Opening Night Gala at Alice Tully Hall, Lincoln Center on June 2, 2010 in New York City. "My love and thoughts are with his extraordinary family." Redmayne had previously said that meeting Hawking was "one of the great moments of [his] life." "When Stephen saw the film, I was rehearsing so I couldn't see him beforehand but I saw him just after he went in and I said 'hey Stephen I'm very nervous, but please do let me know what you think,'" he said. "He took a while to respond and said in his iconic voice: 'I will let you know what I think, good or otherwise.'" Luckily, he said Hawking was "so nice" after viewing the film. In a post on his Facebook page, the scientist even commended the actor. "I thought Eddie Redmayne portrayed me very well in The Theory of Everything Movie," he wrote. "He spent time with ALS sufferers so he could be authentic. At times, I thought he was me. "Seeing the film has given me the opportunity to reflect on my life. Although I'm severely disabled, I have been successful in my scientific work. I travel widely and have been to Antarctica and Easter Island, down in a submarine and up on a zero gravity flight. One day I hope to go into space. He concluded: "I've been privileged to gain some understanding of the way the universe operates through my work. But it would be an empty universe indeed without the people that I love."